The 2010 midterm elections are shaping up to produce heated contests all across the nation that could drastically change the political landscape this November. One of those races may well take place in Mississippi’s 4th Congressional District, which includes Gulfport, Biloxi, Hattiesburg and Laurel. Several candidates have stepped up to challenge incumbent Democrat U.S. Rep. Gene Taylor, who has occupied his seat for more than 20 years. One of those challengers is businessman Joe Tegerdine who resides with his family in Petal. Taylor and Tegerdine both took time to speak to “The Radionian” about the election, their positions on the issues, and their visions for America’s future. One year ago, Joe Tegerdine was virtually unknown in South Mississippi. Today, most favor him to win the June 1st primary for the Republican nomination to the 4th District’s U.S. Representative Seat. 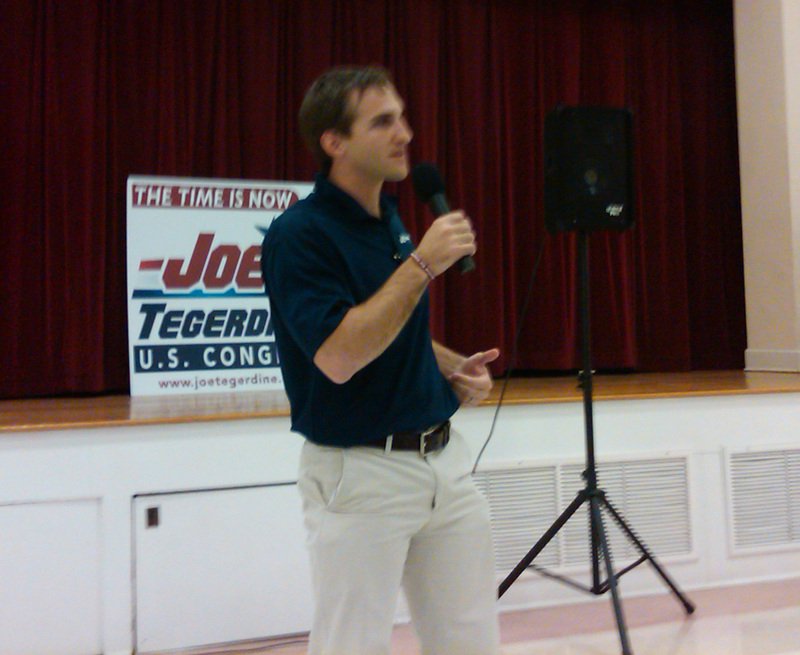 Tegerdine said that his campaign began last year after he involved himself with the local Tea Party group, with whom he attended an April 2009 Town Hall meeting held by Taylor. Tegerdine said that during the meeting, he and Taylor had a heated exchange. At the time, Tegerdine had only considered getting involved in politics at an older age. However, over the following weeks, he made a decision after finding himself troubled by national events. “It was the realization that if I didn’t do something today, then I would not have the country I grew up in to pass to my children,” he said. Tegerdine entered the race with business experience, a bachelor’s degree in communications, and a juris doctorate, but he lacked political experience. He considers that a positive. “I truly believe that if we are going to put our country back on the right track, average, everyday Americans have to take the country back from career politicians,” he said. Tegerdine believes that one of the biggest problems in American politics is the propensity for career politicians to be continuously reelected with the aid of special interest groups. He plans to champion an amendment that would limit U.S. Senators to two terms and U.S. Representatives to four terms. He has pledged to serve no more than four terms if elected. As a Congressman, he would also like to work to wean Americans off dependency on entitlement programs that he believes will eventually bankrupt our economy. He related his story of being raised with four siblings by a single mom and the struggles they faced. He disagrees with critics who have alleged that he seeks to cut the lifelines of the needy. Tegerdine also takes a family-based approach to education. “We’ve got to find a way in our country to reengage parents in their children’s education,” he said, adding that parents, not federal bureaucracy, are the key to our children’s education. He disagrees with educational programs that insulate children from failure. “I wish everyone had been as concerned about the national debt as I have been. You can’t spend more, collect less, and pretend it’s going to work.” Photo by uspcgpress of Flickr. 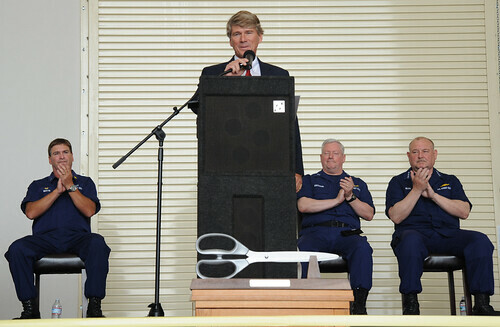 Congressman Gene Taylor has served as the Mississippi’s 4th district U.S. Representative since his initial election in 1989. While the anti-incumbent mood is causing concern for some incumbents, Taylor is not worried. “People have been running against me for 20 years,” he laughed. He disagrees with Joe Tegerdine’s idea on term limits. He also dismissed criticism levied against him by opponents accusing him of supporting Nancy Pelosi. “That’s an election that took place in San Francisco,” he said. Taylor believes that his record will show him to be on the side of the American people, not fellow politicians. However, his party has moved to the left over the past year, with lavish stimulus packages and a liberal healthcare reform bill. Even so, Taylor does not place the blame solely on his party. Taylor said that he has been concerned about federal spending under both Democrat and Republican presidents. When it comes to the recently passed health care reform bill, the only question for Taylor is whether it should be repealed or amended. He does not believe, however, that the bill is entirely bad. “Some provisions are worthwhile,” he said, pointing to the portion that bars insurance companies from discriminating against those who have pre-existing conditions. Even so, he believes that bulk of the bill is bad policy that will only add to the national debt. Taylor conceded that tackling the national debt crisis will not be easy. “It’s going to be very difficult,” said Taylor. He explained that the ongoing wars in the Middle East, programs like Social Security, Medicaid, Medicare and an aging population are all complicating the problem. “This is why we don’t need to make any new promises,” Taylor said. When it comes to paying off the debt, Taylor does not rule out the possibility of raising taxes. Taylor offered advice for college students who may feel discouraged by the woes facing our country. Whether it was the people who had to weather the Great Depression and World War II, or those who had to serve in Korea and Vietnam, Taylor said each generation of Americans has risen to meet its challenges. “I intend to help us to face these challenges and to protect the freedoms and liberties we cherish so that we can leave a better place for our children and grandchildren,” Taylor said.